You can find info about my guitar method books here. 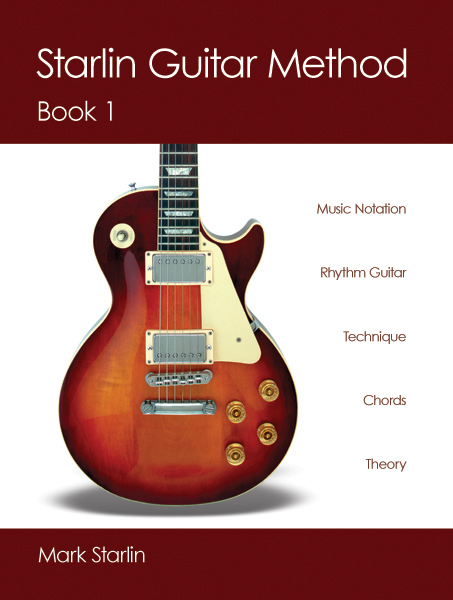 The Starlin Guitar Method series of books are designed to give you a complete foundation for playing guitar. 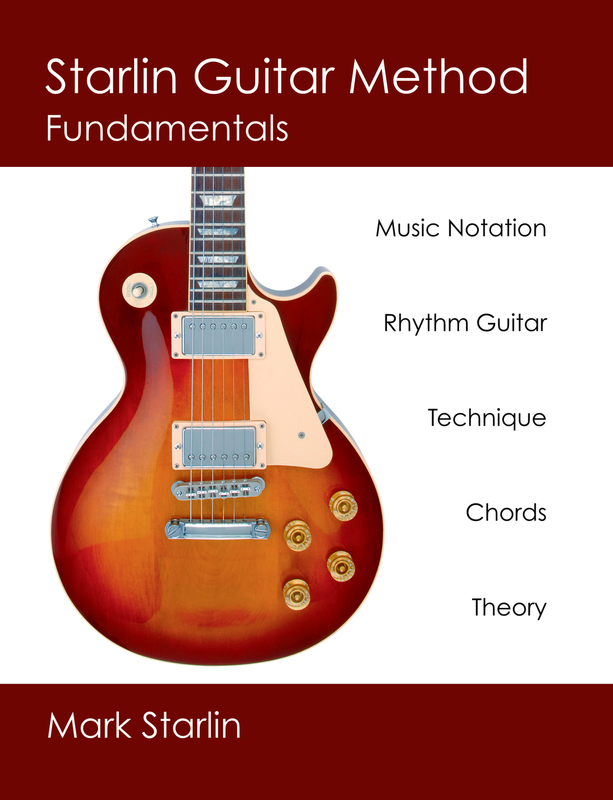 Fundamentals covers rhythm guitar, guitar techniques, chords, music theory, and essentials such as tuning and capos. It also teaches you to read music notation and TAB. Plus it contains one important feature many guitar methods lack: easy to understand explanations of every topic. You can see a preview of Fundamentals at Lulu.com. Fingerstyle teaches you how to play using your fingers instead of a pick. Covering a wide variety of techniques and playing styles. Including the easy-to-understand explanations you expect from Starlin Guitar Method books. You can see a preview of Fingerstyle at Lulu.com. Soloing 1 is a key-based visual approach to learning to solo on guitar (also called improvising.) By learning five patterns for the Major, Minor, Pentatonic, and Blues scales, you will be able to improvise in any key at any position on the fretboard. Soloing also teaches the techniques that make your soloing more interesting, such as bending, hammer-ons, pull-offs, vibrato, octaves, tapping, and more. If you’ve ever wanted to be able to play solos on the guitar this book will take you there. You can view a preview of Soloing 1 at Lulu.com. This free Quick Start guide is all you need to get started soloing on guitar. It features a key-based visual approach to soloing. You can use it to learn how to jam along with the Jam Tracks in the Media section of my website. Improvising on guitar is fun. Give it a try.